The National Curriculum assessments, otherwise known as the Standard Assessment Tests (SATs), can seem like a daunting part of your child’s education. However, if you know what to expect, they don’t need to be scary for you or your child! Below you will find all the answers to parents’ most common questions about the SATs for Key Stage 2. You will also find links to detailed breakdowns of what each test involves and how you can support your child. What tests do children take at the end of Year 6? What do the tests involve, and how can I help my child? Reading : 1 paper, 50 marks, 60 minutes total. Mathematics : 3 papers, 110 marks, 110 minutes total. English grammar, punctuation and spelling : 2 papers, 70 marks, 60 minutes total. Tests will take place in May. Tests are strictly timed, but children will be given breaks between the papers. At Key Stage 2, the SATs papers are marked externally by trained markers. The mark your child gets in each test is called the raw score (out of 50 for reading, out of 110 for mathematics, and out of 70 for English grammar, punctuation and spelling). This raw score for each test will be translated into a scaled score, which will show how well your child has done against the expected standard. Children need to achieve a scaled score of 100 to meet the expected standard. Above 100 means they are exceeding the expected standard; below 100 means they are still working towards it. You will receive your child’s raw score and scaled score for each test, as well as confirmation of whether or not they have achieved the expected standard. No. The system of levelling related to the previous National Curriculum and has been replaced with standardised scaled scores. The Department for Education has said that the expected national standard score of 100 at Key Stage 2 is roughly equivalent to a Level 4b under the previous system. Find out what the KS2 reading test involves, alongside advice and resources to help you support your child. Find out what the KS2 maths test involves, alongside advice and resources to help you support your child. Find out what the KS2 English grammar, punctuation and spelling test involves, alongside advice and resources to help you support your child. Find out how you can make preparing for the SATs a constructive and positive experience. Confused by fronted adverbials or need a refresher on averages? Expert tips for building your child's confidence and resilience. 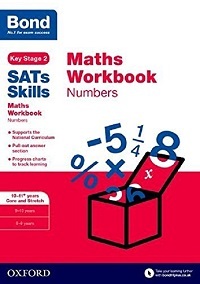 This book helps to develop confident mathematicians, allowing them to become increasingly comfortable with the rapid recall of key mathematical knowledge and calculating solutions required by the National Curriculum and selective school tests. 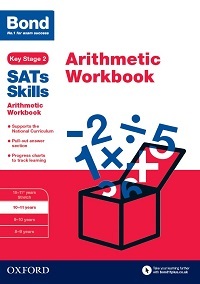 This workbook covers the core content in number-related topics of the Key Stage 2 National Curriculum for maths, plus stretching questions to take understanding further, helping children to reach the level of competency expected by the National Curriculum and succeed in SATs assessments. 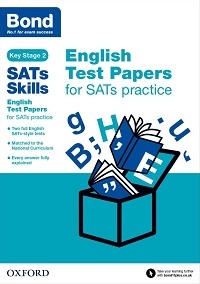 These tests develop children's exam skills of time management and performing in exam conditions and provide invaluable insight into the approach to testing that children will face when taking their KS2 SATs. 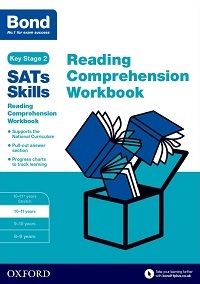 This workbook ensures progress towards the reading skills demanded by the National Curriculum and tested in SATs assessments. 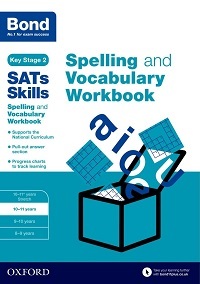 This book concentrates on developing the spelling skills and the confident understanding of the words expected for higher achievement in the latest National Curriculum tests, including the KS2 grammar, punctuation and spelling test. This book develops confident communicators, and allows children to become increasingly comfortable with the grammar and punctuation rules of the English language tested in the KS2 grammar, punctuation and spelling test. 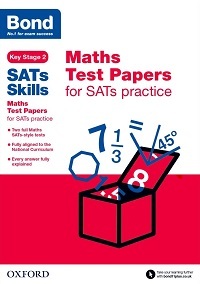 These tests develop children's exam skills of time management and performing in exam conditions, and provide invaluable insight into the approach to testing that children will face when taking their KS2 SATs.